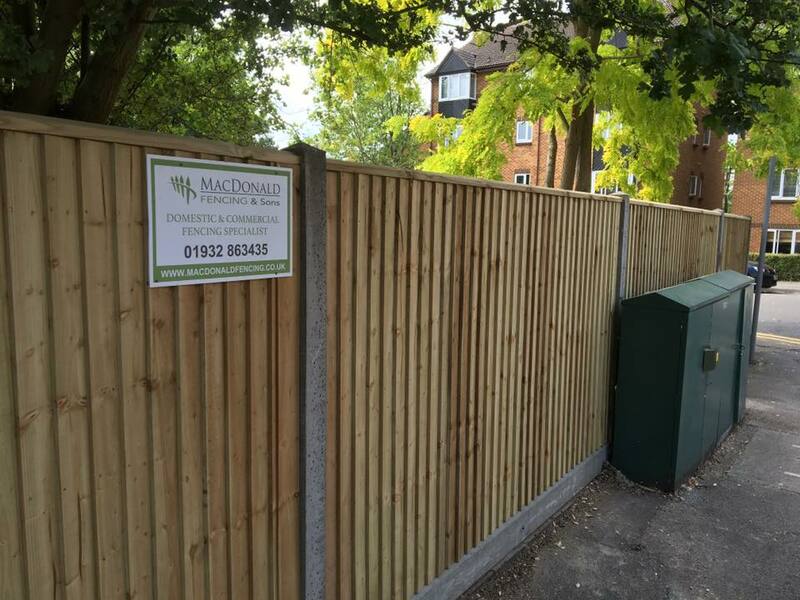 Whether domestic fencing or a commercial build, from the smallest post to the largest fence, our experienced team provide a prompt and friendly fencing service you can depend on. With over twenty years of experience serving Surrey and beyond, the second-to-none quality of service we provide ensures perfect results, every time. We are based in Cobham (just off junction 10 of the M25) and many of our contracts come from domestic work improving local homes in the Surrey area as well as Weybridge and further afield. In the unfortunate event of damage, we provide £500,000 public liability insurance against most domestic appliances. Feel free to ask any fencing or landscaping questions over the phone, or get in touch via our contact form below. Your message will be dispatched directly to our staff who will answer as soon as they can. MacDonald Fencing & Sons Ltd.